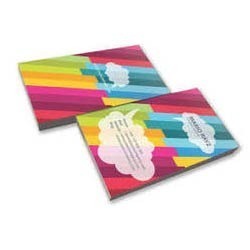 We are specialist in business cards making. We are in the business since 2000. 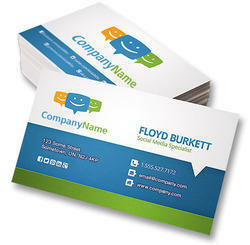 There are many quality for business cards i. E. Matt, glossy, small, uv coated. Textured paper and many more. Our range starting from rs. 280/- only and upto rs. 1200 for 500 cards. In order to suit the various and precise requirements of our esteemed clients, our enterprise is dedicatedly engaged in providing Business Cards in the market. Catch everyones attension and make a difference with this out of the box premium frosted business card. The cards are made with precise technology and high end machines. We can make your tailored designs with any size, any shape any colour. Get in touch with us for knowing more.